Galatasaray are plotting a January move for Liverpool winger Xherdan Shaqiri according to reports in Turkey. The Fanatik sports newspaper report that the Lions have targeted Shaqiri as they look to strengthen a depleted squad. Per the source, Galatasaray have a long-standing interest in the Swiss international. The report also claims that Shaqiri has been in poor form as a fringe player this season. Shaqiri has played just 225 minutes of Premier League football scoring one goal three assists in all competitions. The 27-year-old has made just a single start in the league but it would be unfair to say he has been in bad form. The winger has looked lively whenever he has come on despite not being a regular starter. It is worth pointing out that Shaqiri joined on a £13.5m over the summer and has another five-years remaining on his contract. Galatasaray are under Financial Fair Play watch and would not be able to sign the Liverpool man on a permanent move in January. 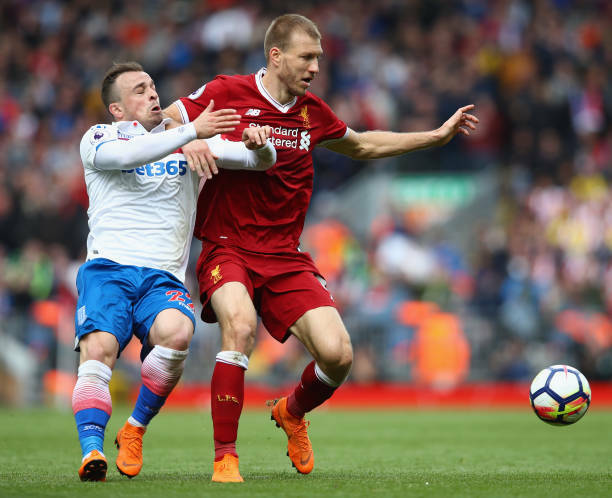 The Lions only shot at landing a deal is on loan but considering Shaqiri has been a useful utility player for head coach Jurgen Klopp they may struggle to push this one through. The Istanbul outfit are competing in the Champions League and are involved in the domestic title race.